Select a dry hard white fish. Wash off salt and remove scales, If salted rinse three or four times and soak overnight. Boil 3 cups water with 1 tsp vinegar and tarragon. Add the fish and simmer 8 minutes. Do not let the water boil or the meat will fall apart. Heat a frying pan. Add olive oil. When very hot add the fish. 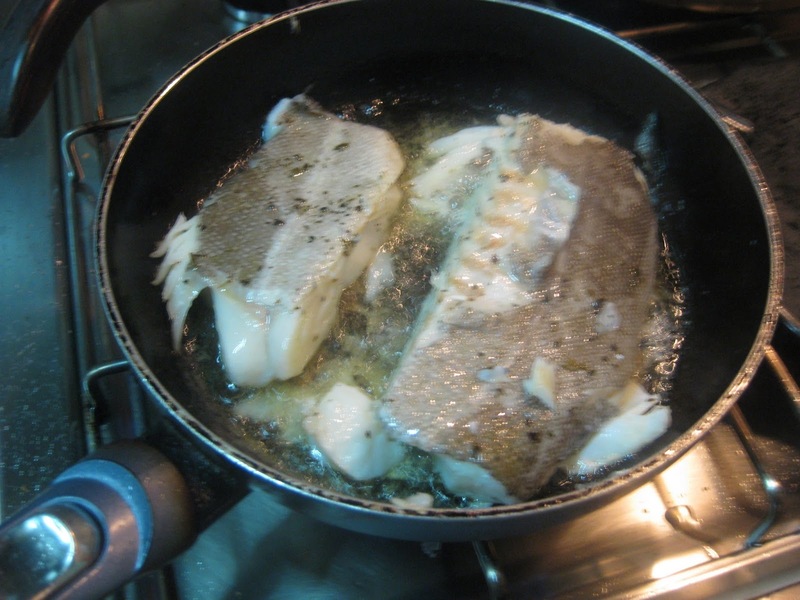 Fry it only a little because the cod fish and hake becomes hard with frying. Toast almonds and grind them in a mortar with a slice of bread soaked in vinegar, to make the sauce sweet and sour. After straining this through a woolen cloth, season with spices. Do not use saffron. The cinnamon should dominate. Add sugar or honey. Heat the sauce. 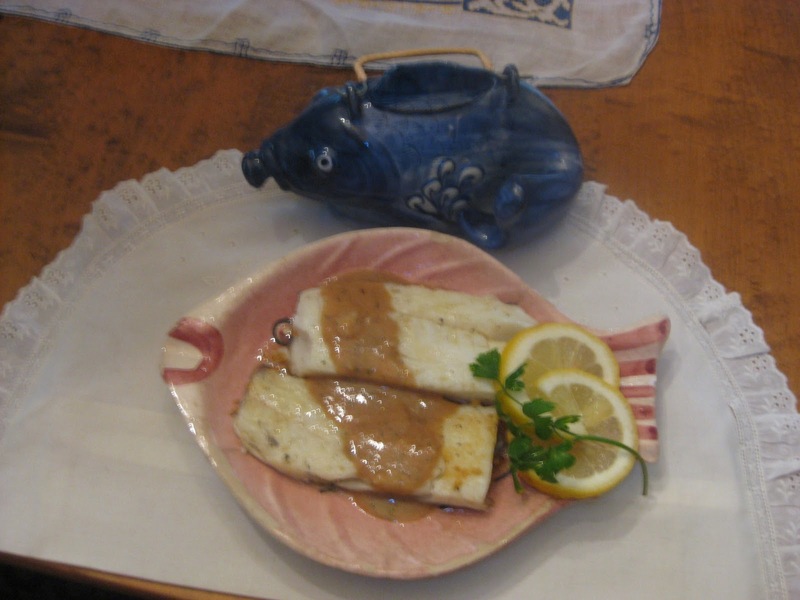 Put the fish on a platter and drizzle a little oil used for frying the fish over it. Then pour the sauce over the fish and serve.